When ladies get married, they always want their hair to look it’s best. Of course, the issue is that there are thousands of potential styles out there from which people need to choose for their big day. 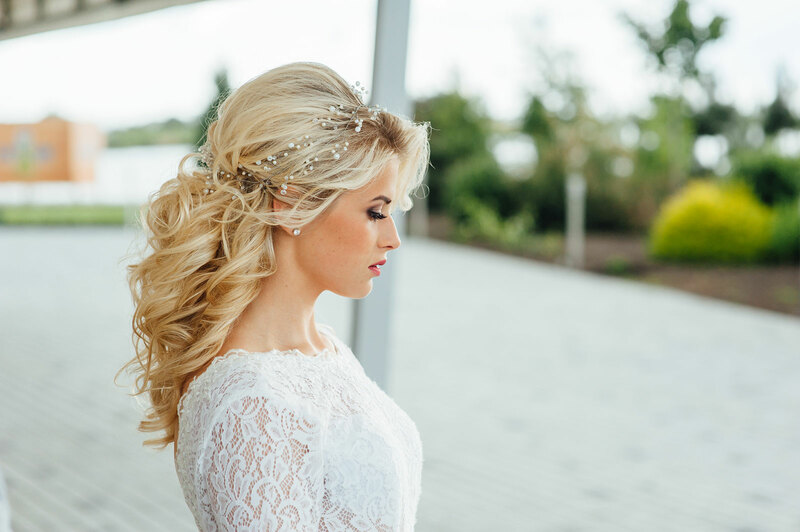 In the hope of giving you some inspiration, this article contains some fabulous wedding hairstyle ideas you might like to consider. So, take a look through them now and see if you can find anything suitable for the happiest day of your life. If you want to show off your neck while still having an impressive hairdo that will turn heads, the chignon style could be perfect! 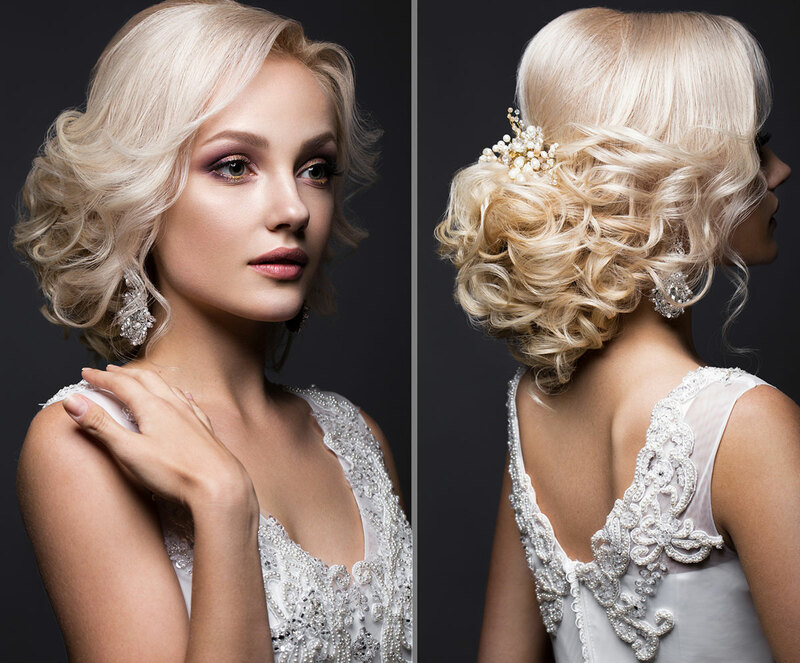 This wedding hairstyle is ideal for ladies who don’t want to mess around. It’s neat, attractive, and it lets the wedding guests know you mean business. Elegant and yet so outspoken, the blonde loose plaited bun is a guaranteed winner for ladies who want to dazzle on their wedding day. So you love your long locks but you want to show as much skin as possible while still maintaining the perfect image of a blushing bride. Choosing a style that ties and pins your hair back is probably the best option. Short hair doesn’t have to appear masculine or unladylike. As you can see from this photograph, the pinned black retro updo can make you look angelic to say the least. Do you love the New York look? 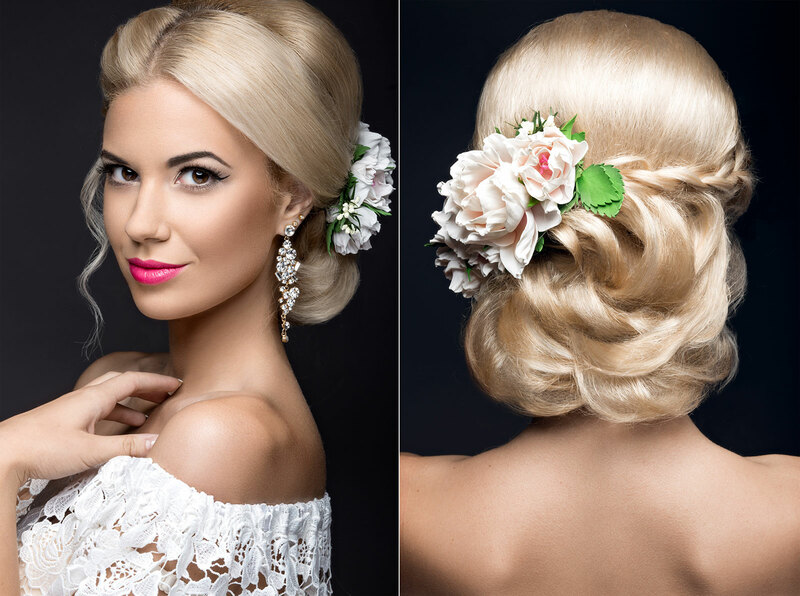 Would you like to get married with a hairstyle that’s both trendy and suitable for every occasion? Then you need to try a long and curly style with a French plait, regardless of your hair colour. Your wedding day is the one time when you’re officially allowed to push the boat out and go full-on princess! Try this style if you want to have a royally good time with all your nearest and dearest. They say a woman’s neck is the most mysterious part of her body. It’s also one of the most attractive. So, why not make use of both realities, by covering only half of yours? Brunettes struggle more than most when it comes to choosing the best possible hairstyle for their weddings – it’s a fact! However, long and wavy with a center parting will never fail to impress. A high bun is perfect for your wedding day, especially if you choose a dress that doesn’t rise much above your bust. You can even add some delicate drop-downs. Feel free to play with the hairstyle and create something unique! A waterfall bun always looks gorgeous when you get it right, but it’s probably worth employing a professional for the morning of your wedding if you want to avoid disaster. This smooth and sleek style is always a popular choice with blushing brides. It’s simple and yet so effective in the results it creates. You could do this yourself without too much hard work. If you love to accessorize, there is no better style to choose than a messy side-bun. It’s versatile so you can get creative and use your imagination when it comes to the accessories you choose. Lots of ladies overlook the Dutch braid when looking at hairdos for their wedding. However, this photograph shows just how angelic and perfect it can make you appear! We hope that you have found a style that inspires you for your fairytale wedding day. With medium length hair, you have the flexibility and scope to create all kinds of chic, stylish looks. Whether you’re preparing for an important meeting or you’re getting ready for a night on the town, there are countless styles you can recreate. Here are some fabulous medium length hairstyles to give you inspiration if you’re planning a trip to the salon. This loose, natural-looking wavy style is ideal for dates, nights out with the girls or sunset drinks on vacation. The soft movement creates a look that is both laid-back and chic with a romantic, Boho vibe. This style is perfect for all ages, and it’s easy to recreate using curling tongs or texture spray. The Lob has become incredibly popular in the last few years. A longer alternative to the classic ‘bob; this is a really sophisticated, stylish look. Longer bobs create the illusion of thicker, fuller hair and they are flattering for almost any face shape. Add gentle layers or feathering at the front to enhance the cheekbones and the jawline. 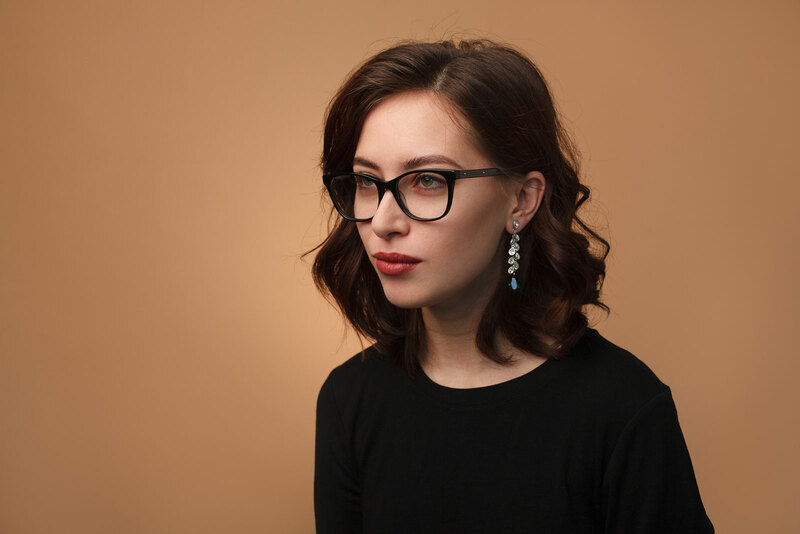 The Lob is an excellent choice for people with hectic schedules, as it’s easy to maintain, and it’s ideally suited to those who have to adopt a formal look for work. Layers are great for framing the face and creating more movement, and a side parting is flattering for both oval and round face shapes. This style is perfect for casual occasions, and it gives you a multitude of options when wearing your hair up or down. The tonal blonde shades will look fantastic for spring/summer. This heavily feathered blonde hairstyle is the ultimate in glamour. Perfect for dinner or a formal occasion, such as a ball, this is a style that is bound to impress. The short layers around the face add volume to the hair and enhance the facial features and the off-centre parting is incredibly flattering. This shoulder-length, brunette layered hairstyle is ideal for thin, fine hair. The sharp ends and the sweeping fringe frame the face and create a modern aesthetic suitable for work and play. A modern, relaxed take on the formal bob, this long, wavy bob is an ideal choice for those looking to have fun and add movement. This look features a loose wave, which will work well for smart and casual occasions. Team with a classic LBD for a chic evening look or pair with a jersey maxi dress and oversized shades for cool, comfortable vacation style. This beautiful ringlet style is fabulous for spring/summer. If you’re attending a wedding or preparing to boogie the night away at a festival, this is a style that will fit the brief perfectly. Add texture and bounce using curling tongs or a wand, add a spritz of hairspray, and you’re good to go. If you’re looking for a classic style with a contemporary twist, and you’re blessed with straight, sleek hair, this is the look for you. This long bob will be ideal for both work and pleasure and you can dress it up or down accordingly. Straighten your hair for work events or add texture with sea salt spray and a blast with the diffuser for a more laid-back look. If you’re looking for a bold, opulent look, this glamorous, voluminous style could be the ideal choice for you. Platinum adds a touch of vintage Hollywood glamour, and it will work well with porcelain and medium skin tones. The bouncy curls and side parting add drama, making this style perfect for parties. As you can see, medium length hairstyles come in all shapes and guises, and they can be spruced and styled to suit almost any occasion. If you’ve recently noticed how good acrylic nails can look, then you may be considering having acrylics added to your nails. Perhaps you’ve never really noticed other people’s nails before, but now that you’ve taken note of how beautiful nails can be, you want to add a little glamour to your own hands. Acrylic nails, if they’re done right, can look amazing – which is why having a professional do them for you is so important. There are plenty of designs and styles to choose from, from bright and bold colours to pastel hues and glitter shades – there are so many effects to choose from. As a beginner in the world of acrylic nails, the process of getting acrylic nails done can be daunting, which is why we’ve created this in-depth guide for you, discussing everything that you should know about the process of getting acrylic nails and the pros and cons that come with doing so. 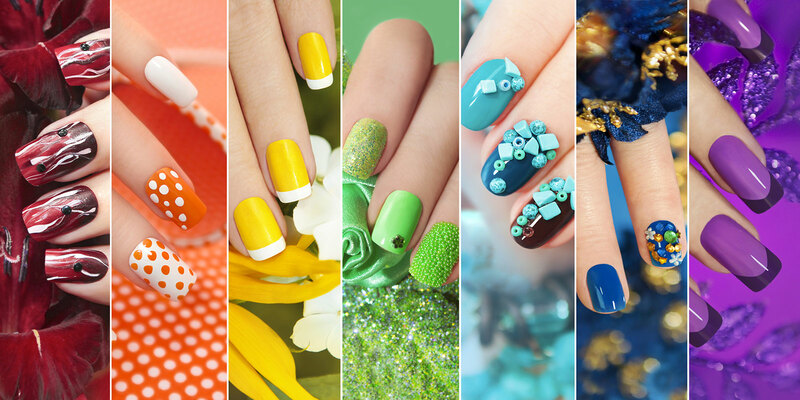 What types of acrylic nails are there? There are two main types of acrylic nails; these are ‘tips’ and ‘form’ nails. 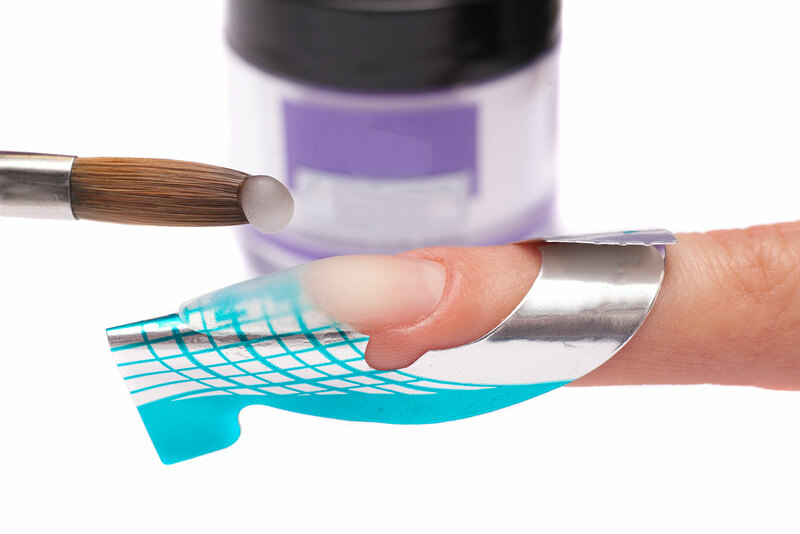 Tipped acrylics are acrylics created with a nail tip glued to the nail that’s already in place. whereas formed nails are sculpted onto the nail with acrylic. Both of these options are extremely hard wearing and long-lasting, so it’s just a case of personal preference and determining what option your chosen salon provides. In addition to considering what type of acrylic nails you would like, it’s also important to think about the shape of the nails that you would want. 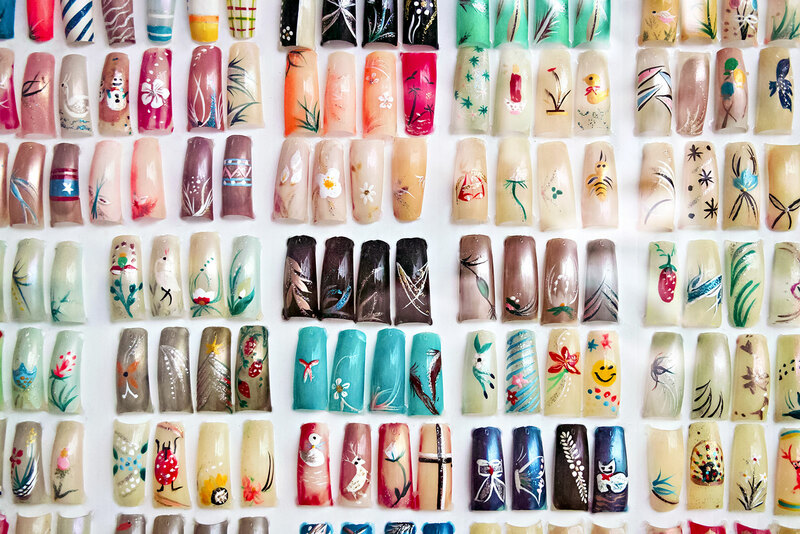 There are various nail shapes to choose from; these include stiletto, oval, square, almond, squoval, or coffin – these are the most popular options, but there may be other shapes available that you can discuss with your salon. How much do acrylic nails cost? The price of acrylic nails can range from £25 to £80; it completely depends on where you go to get them done, and how much detail is put onto them. Usually, the cheaper nail bars don’t offer as good quality work as the more expensive ones, but that doesn’t mean you have to spend a fortune. 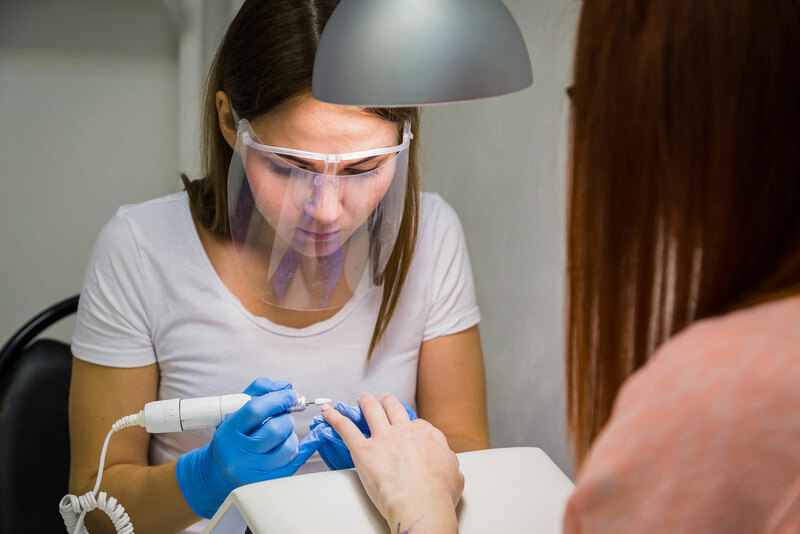 A tip from a professional nail expert is to never to get your nails done in a nail bar where the nail artists are wearing chemical masks – any reputable nail salon won’t use such strong chemicals. Keep this in mind when choosing where to have your nails done – take note and find a salon that doesn’t have their workers wearing masks. One issue that can come with acrylic nails is that the chemicals used for them can damage the nail. This is because very strong chemicals are used which can sometimes result in damage to the nail itself and the nail bed. Then there’s the fact that because the acrylic is bonded so strongly to the nail, if the acrylic is caught or rips, it may rip up the nail bed, revealing the flesh underneath. This can be extremely painful and leave your finger vulnerable to infection. If this injury occurs, seek medical assistance immediately to reduce the risk of infection and long-term complications. 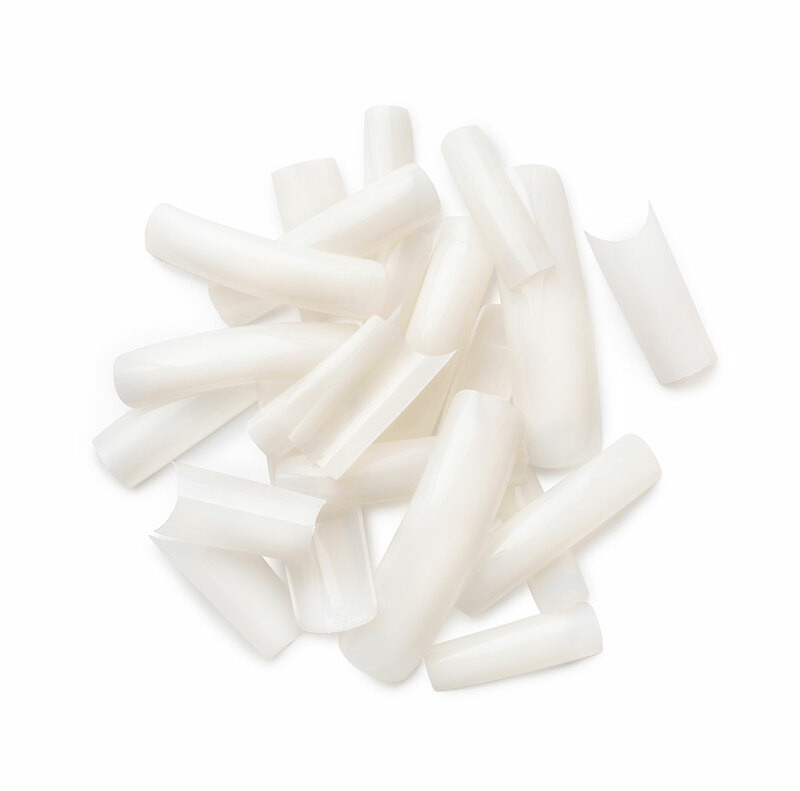 Allergic reactions are another problem that has been reported with acrylic nails, which can cause blisters, pain, and thinning of the nail bed. While complications can occur, and it’s important to know these dangers, you must remember that they aren’t very common (otherwise no one would risk getting them done)! The best way to remove acrylic nails is to head back to the salon and get a nail expert to remove them for you. However, if you don’t have the time or money to do this, you may be wondering how to remove them yourself at home. Whatever you do, don’t attempt to rip them off, this can cause serious pain and damage to your natural nail and nail bed. Clip each nail as short as possible using nail clippers. Gently lift the edges of the nail slightly using tweezers. 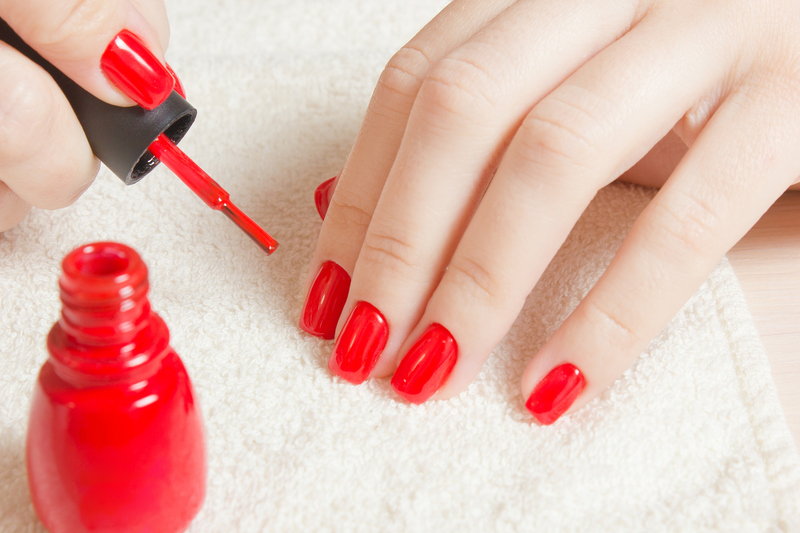 Soak the nails in nail polish remover for 30 to 40 minutes. When you feel the acrylics starting to lift off of the nail bed, gently pull them away using tweezers. Never pull too hard, only lift up the acrylic nail after you’re sure it’s completely free from the nail. If not then its time to head back to the salon and let the professionals remove them. Acrylic nails can be a great way to minimise nail maintenance, as once they have been applied, with regular infills, acrylic nails can last for weeks or even months. What are they? How much? & Are they worth it? Eyelash extensions are just like hair extensions except these are made for your eyelashes. Little pieces of hair are attached to your natural lash line to give your current eyelashes a little boost. You can choose the type of hair you’d like and also the style, just like you would choose the color and length of your hair extensions, it’s basically the same thing. You choose hair type, length, curl type and the overall dramatic effect you want to achieve. Most salons will have a diagram for you to choose from and a technician to help you decide. The process is fairly relaxing, you sit in a chair with your eyes closed as a technician applies one eyelash extension at a time until the look is complete. The process can take up to 2 hours for a (first time) full set but you’ll need to go back for refills after a few weeks if you’d like to maintain your new look. First, there are many different hair types that can be used for your eyelash extensions; silk, mink, fox fur, human hair, plastic synthetic, or poly-fiber blend synthetic. Each one will be priced differently according to your choice, the most expensive being mink. 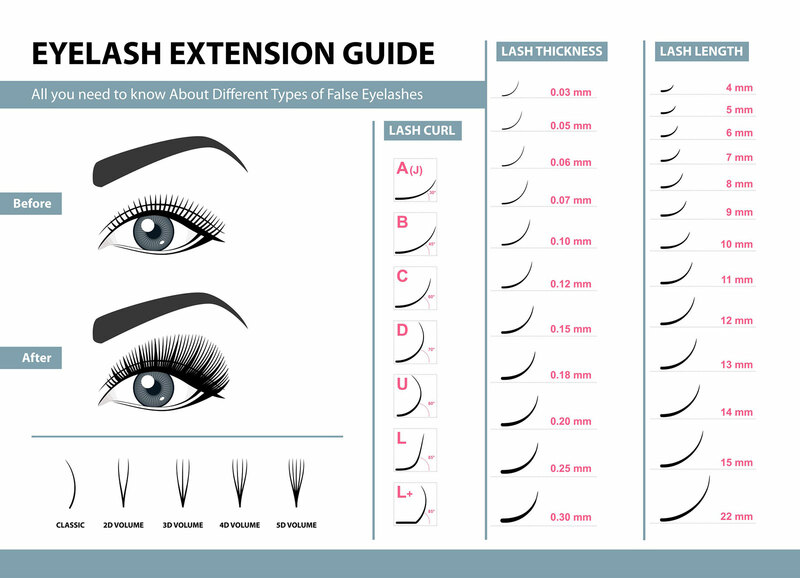 Once you choose which type of hair, you can choose curl type, lash thickness, and finally lash length. 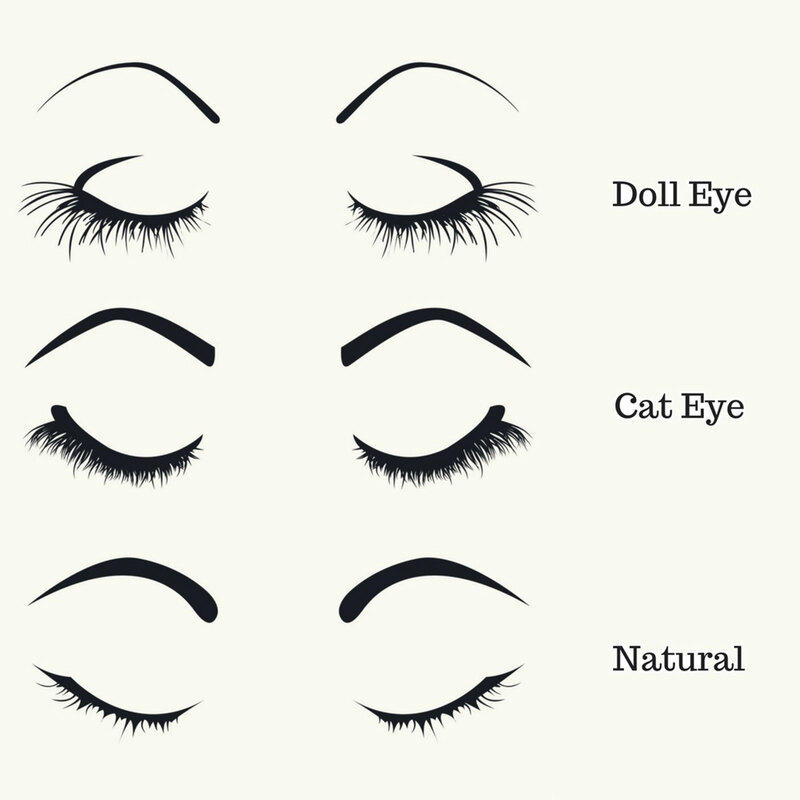 Then you would choose your style, the four common lash styles are natural, open eye, cat eye and doll eye. If this is your first time getting eyelash extensions, be sure to ask your technician what she or he would recommend for a first timer, usually something more natural helps you get used to your new lashes. Overall costs will vary. Depending on the hair type, location and experience, eyelash extensions (for a full set) will run on average between £70 and £120 for both eyes. Usually, cheaper rates means the salon uses cheaper lash hair so be sure to get all the details before saying ‘yes’ – cheaper hair/lashes look less authentic. After 2-3 weeks you’ll need a touch up and that will run you about £40-£90, again depending on the hair type and if you want to change up the style you had recently gotten before. Most people choose ‘Real Mink Eyelash Extensions’ as these look the most authentic but of course cost the most, followed by silk extensions and then any type of synthetic lashes. With everything in life comes risks and rewards, the obvious reward here is that you’ll have beautiful fuller looking eyelashes without the need to apply daily mascara, or daily false lashes (you know the strips you glue to your lash line) – Most women get eyelash extensions to enhance their ‘I woke up like this look’ – or the ‘makeup free but still beautiful look’, and with eyelash extension this can be achieved. The risks are minimal but worth mentioning; the funds you will be putting out for your new love of lashes will add up (because let’s be honest every beauty habit we tend to take on becomes expensive after a few months of pampering), and then there is the possibility of not liking the way they feel and feeling like you just wasted £120. The more serious risks though include the chance of an infection to the cornea or an infection to the eyelid, loss or damages to real lashes and swollen eyelids. It’s also important to mention that while you can still wear eye makeup you will need to be extra careful in removing your makeup as oil-free products (oil-free removers contain products that break down the lash adhesive) and water may increase the risk of accidentally removing a few lashes. You can still shower and swim with lash extensions but again be careful not to rub your eyes to hard when drying your face. Sure there are horror stories that make eyelash extensions seem scary, but the truth is if you follow the instructions and take care of your extensions your chances of these problems happening are reduced. No two eyes are the same, just because someone you know had a bad experience doesn’t mean you will too. 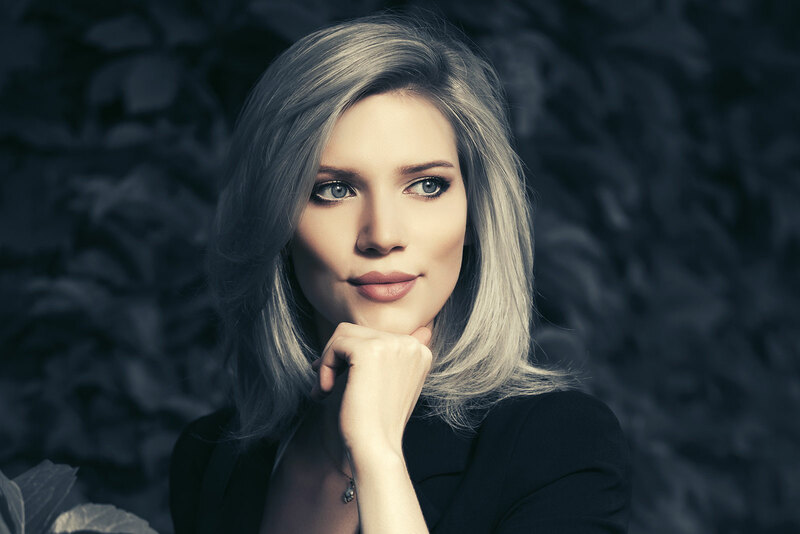 Bob haircut styles are among the most iconic in the world, and this timeless classic has received many updates, improvements, and variations over the years. Below are a range of bob styles that are suitable for all women, ensuring that everyone can partake in this chic, beautiful cut. This style of bob is effortlessly flattering and casual, but retains a sense of elegance thanks to the complexity of the cut. The gentle ash blonde helps to create dimension with the multiple layers, and the asymmetry adds a modern touch to the classic style. This vibrant shade combines with a soft, feminine bob that will particularly flatter oval faces. The so-called “Chinese” rounded effect provides one-length definition, while the long, wispy fringe helps to prevent the haircut from becoming too severe. This bob is structured to provide an even length at the chin when side-parted, giving it a different twist to the more standard middle-part styles. A soft, side fringe combines textured layers and razored ends to produce an edgier look while maintaining elements of feminine softness. The finishing touch is the colour, which contrasts dark grey or black roots with an icy blonde shade that borders on being white. This short box bob is not for the faint hearted, but looks spectacular when done well. The sharpness of the fringe contrasts with the slightly softer main strands, producing a look that frames the face and highlights the eyes particularly. The headline of this look is the asymmetry, with one side of the hair almost pixie-length and the other falling to just above the chin. Long layers and feathering give a sleek appearance, while the soft strands of the fridge provide extra depth to the side sweep. This style utilises both ice and golden blonde balayage to create enhance the overall texture of the haircut. The side-parting hints at asymmetry while the razored edges help to finish a look that manages to be both sleek and textured at the same time. The ice blonde colour is almost light enough to be considered white, making this choice particularly stunning for those with blue or green eyes. The style blends together a traditional box bob with a more rounded, Chinese-style finish that helps to frame the face perfectly. This bob contrasts the depth of the black colour with a rounded, Chinese-style bob that frames the wearer’s face and softens their features. The fringe is roundly slightly to provide definition to the eyes, while the ends are curled inward to complete the look. The true beauty of this bob is found in the layers, which sweep backwards to create an effortlessly chic look. Blonde and copper balayage is added to provide extra texture and a sense of motion. The style is slightly inverted — shorter at the back and longer at the front — allowing for a stylish finished effect. This simple, chic haircut helps to frame the face without any of the severity often associated with blunt or box-cut bobs. Hair falls naturally to either side of the head, and the heavy layers close to the scalp produce wispy, almost fairytale-style ends that flatter the neckline and collarbone. 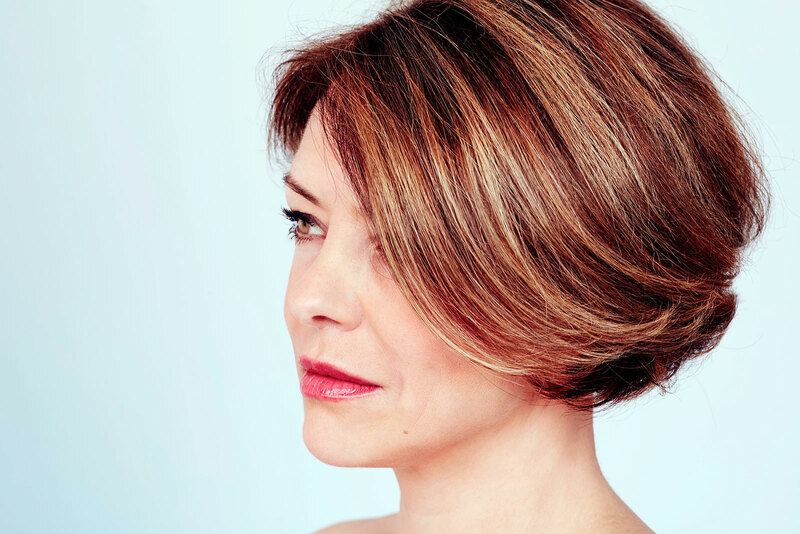 This bob has a hint of retro, but the softened ends help to ensure the look is timeless. 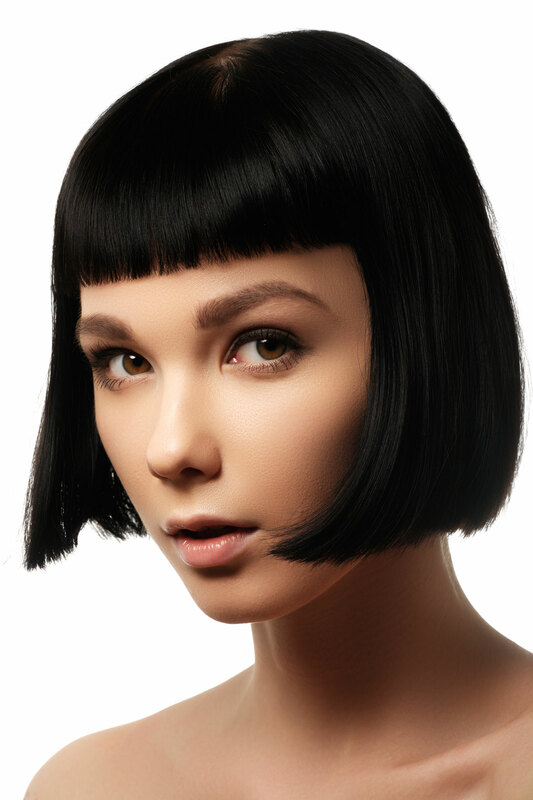 The side-parted fringe softens the face, while the outward flicking ends create a sense of fun thanks to the insertion of light layers for a tousled finish. The dark roots of this style clash fantastically with the platinum ice blonde of the main hair. The slightly rounded style complements the long layers and choppy blunt finish to the ends. The end result has a feel of soft movement while still retaining a modern finish that should complement most face shapes. As the above shows, bobs can be altered and tweaked to create stunning haircuts that are suitable for all women. When it comes to beauty and taking care of your skin, there’s always new advice on the horizon; from new ways to use your facial primer to the use of activated charcoal for almost everything (seriously, there is so much that you can use this stuff for). There are a lot of beauty secrets out there, some of these are things that are total game changers, and others of them not so much. While certain beauty secrets work wonders for some people, that doesn’t mean that they will work as well for others. While your best friend may swear by makeup setting spray instead of baking her face, you may find that baking works best for you – different people find different hacks useful. 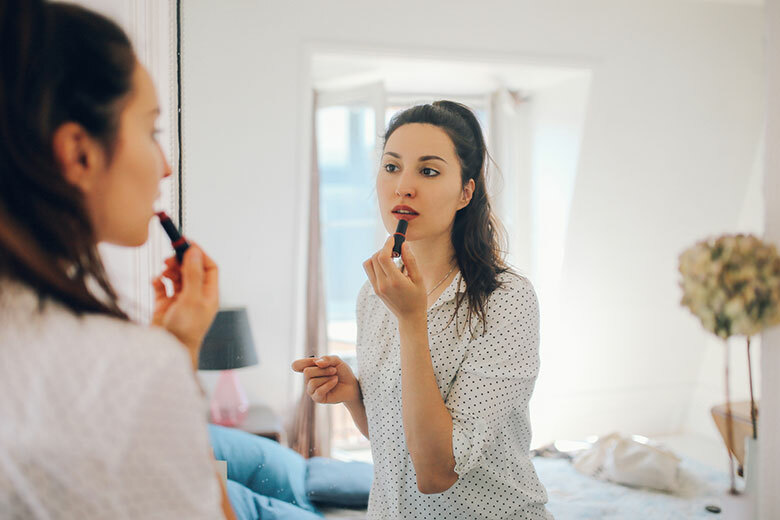 There are some beauty secrets that are just too helpful not to share, even if they don’t work for everyone, these are things that every woman should know about and have the chance to try. You can’t determine if a beauty hack will work for you without trying it, which is why it’s so vital that you take the time to give beauty tricks a try. To help you give your beauty regime a boost and achieve better results, below is a guide to some of the very best beauty hacks that you might want to try. When it comes to applying your makeup, one of the biggest mistakes that you can make is failing to apply your ‘face’ in the right lighting. 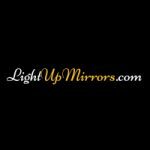 When it comes to makeup application, the use of natural lighting is always best, but a lighted mirror can be the next best thing. 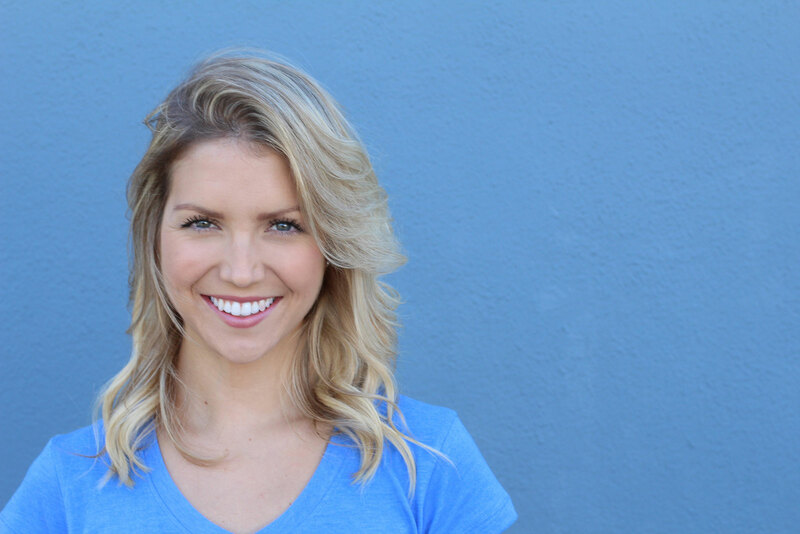 When your face is properly lit up with natural or natural-looking light, you are less likely to overdo your makeup, plus there will be fewer shadows on your face. When it comes to revitalising our eyes, the commonly used trick is slices of cucumber. However, experts recommend using sliced potato instead to see even better results. The enzymes released from raw potatoes help to naturally tighten skin and improve your complexion. The cooler the potatoes are, the better – so it could be worth popping them in the fridge for an hour or two before using. Long lashes are a luxury that every woman wants, but unfortunately we’re not all born with luscious long lashes. While eyelash extensions are an option that has proven popular in recent years, they can be a little pricey. Fake eyelashes can be a great alternative as these are affordable, easy to apply, and can look just as natural as eyelash extensions. 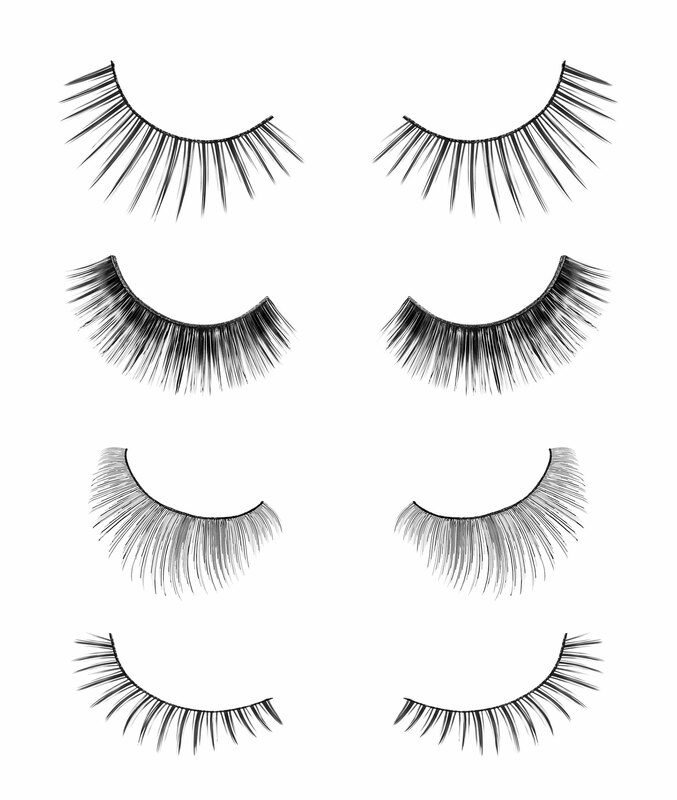 It’s just a case of choosing the right eyelash type to match to your natural lashes. To give your lips a ‘natural’ boost, add a couple of drops of peppermint oil to your lip gloss or balm, and let the green stuff get to work. As the mint tingles your lips, it should start to plump them up, giving you a more prominent pout. Hate having chipped, grimy nails? Then perhaps you could consider redoing them every three days. The reason that nails chip so easily after the first three days of wear is simple: because most base coats stop working as effectively after that time period. So if you want to ensure that your nails always look smart and perfectly polished, redoing them every three days could be the answer. Of course, if you opt to gel nails or acrylics, it’s a different story – these last much longer – but for regular polish, three days is the max that you should wear it for. Want to make your eyes ‘pop’? Use a white eyeliner or pale concealer to add a light area under and above your eyes. If you’re adding eyeshadow to your lids, use your palette properly and take advantage of every colour. The lightest shade on any eyeshadow palette is always the highlighting shade, the shade that can be used under the eyes, in the corner of the eyes, and under the brow bone to make your eyes really ‘pop’. Has your mascara become flakey and clumpy? If it has, don’t make the mistake of thinking that you have to throw it away and buy a new one, you could use saline solution to save it. Add a couple of drops of saline to your mascara pot, mix it around with your mascara wand, and you should have a usable mascara once again. Do you have cracked, sore feet? You can heal they while you sleep. All you need is two ‘foot bags’ and a deep moisturiser. Squeeze moisturiser into the foot bags, pop your feet in, tighten them, and leave overnight. By the time the morning comes, you should have super soft, smooth feet. There you have it, a selection of beauty secrets that every woman should know and take advantage of to improve her beauty regime. Makeup artists and makeup lovers – we have a challenge for you! How well can you tell your shades apart? 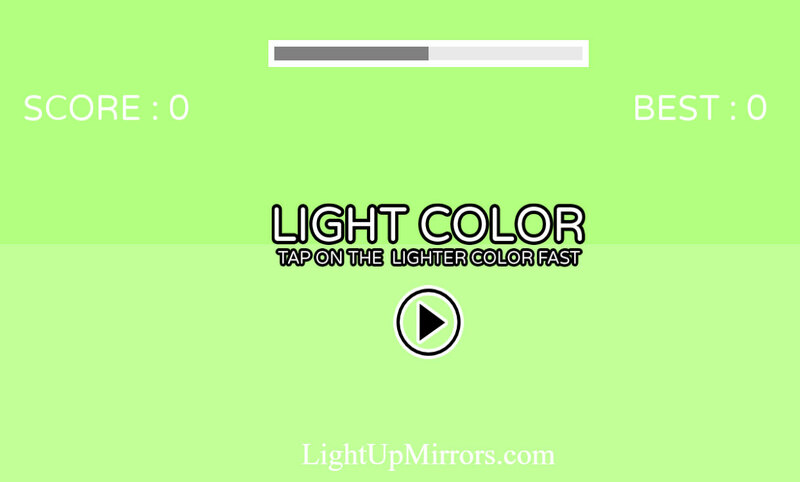 Play “Makeup Light Color” and find out – you never know, you might surprise yourself! When you are trying to create that perfect setting to apply makeup, lighting is very important. The type of light you use and the light positioning when applying makeup will determine your overall finished look. With that in mind we have put together an infographic containing easily digestible information on what type of makeup light is the best, so that you can create that flawless look you have always wanted. 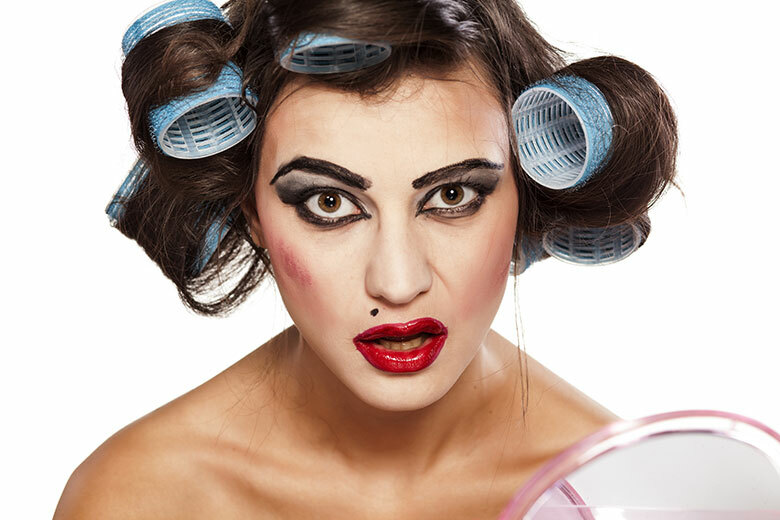 It’s Friday night and you are getting ready for a girl’s night. After the long week you’ve had, this night couldn’t come at a better time. Your outfit is all planned and you even bought some new makeup for the occasion. Usually, you just rush out the door. But tonight you spend your time getting ready, focusing on every little detail. Finally, you’re ready for fun. But, as soon as you go out and you look at yourself in your compact mirror, you discover that your “perfect” makeup is all wrong. Instead of looking great, you look more like Casper the Friendly Ghost. Was it the new brand of foundation you used? Was it the new makeup technique that you found on YouTube? Actually, the most common culprit of not-so-great looking makeup is lighting. The lighting you use while getting ready makes all the difference. Ask any makeup professional and they’ll tell you that without great lighting, there’s no way to get the perfect look. How often do we look in the mirror and, though we feel energized, we look sick and tired? This probably has nothing to do with how you look but rather how the lighting is making you look. And this is too often the case when someone has lighting in their house that is yellow hued. The problem when it comes to doing makeup in yellow hued light is that we sometimes over apply product because we are trying to solve the problem of looking sickly. Furthermore, overly bright white light bulbs will make you look too white, which often leads to overuse of bronzer and blush. 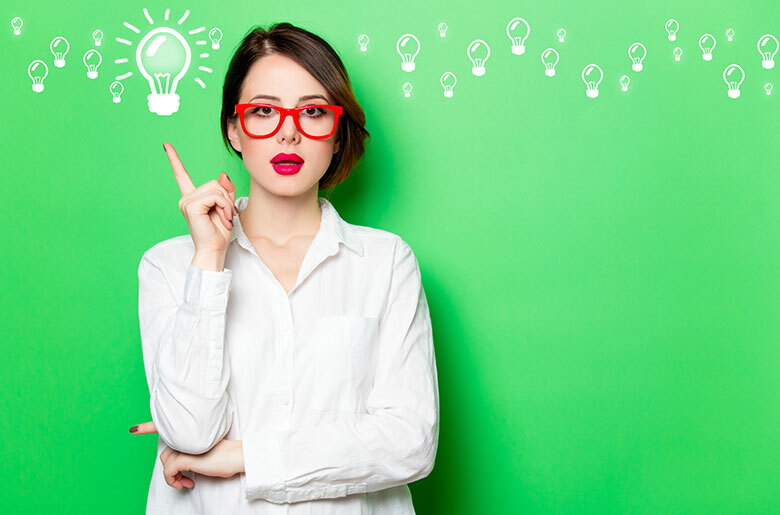 So, when creating light in your house, specifically the places you are getting ready like your bathroom and bedroom, make sure you buy Led light bulbs that are warm white. The safest bet? 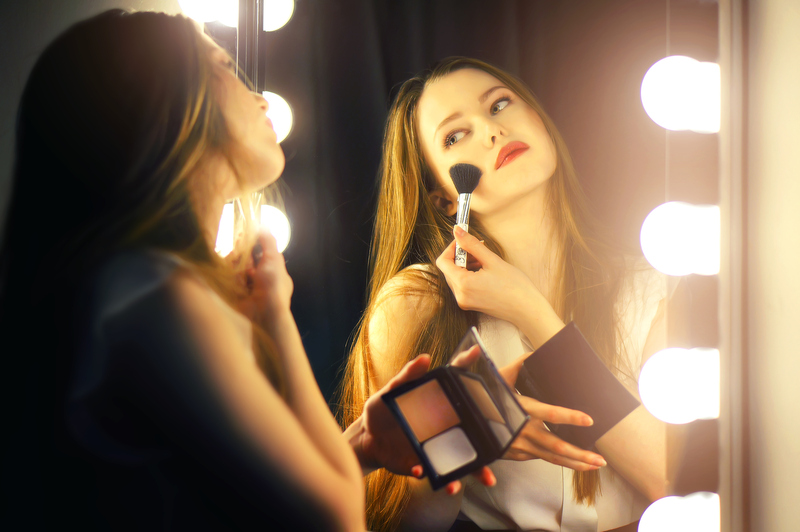 Use makeup lights when applying makeup, instead of relying on the lights you have in your home. Not only can it be time consuming to find just the right light bulb, the positioning isn’t always right. Trust the experts and allow a makeup light to become your new best friend. Too often lighting is placed above the mirror, making a halo-like effect over your forehead. This leaves the top of your head as the main focal point. This effect is completely different than what you want. Instead, you should aim the light to focus on the center of your face, specifically at eye level. In order to get this type of lighting, it is important to have lighting on the side of your mirrors. One of the best overall solutions to create an even glow is a Hollywood makeup mirror. Designed specifically for precise application, whether you are getting ready in the bedroom, bathroom, or any room, you can be sure you have the light you want (and need). Natural light always looks best on skin, which can be super helpful when applying makeup so that you avoid trying to “correct” skin issues that aren’t really there. Additionally natural light is the most common light you will find going out, so getting ready with it ensures you’ll look fabulous wherever you go. Unlike too much foundation, purchasing a new makeup light to help you get ready is one decision you’ll never regret.